Many people sometimes feel the need to go back and check certain things, but for some OCD sufferers, this can be much more extreme. Compulsive checking is one of the common symptoms of OCD. The repetition of checking things such as doors, windows and electrical appliances to make sure that they are shut, locked or switched off can quickly become an obsession. The compulsion to check objects often stems from obsession. Intrusive thoughts will often suddenly enter the mind and are difficult to shift. This results in repetitive checking to try to “silence” the intrusive thoughts. 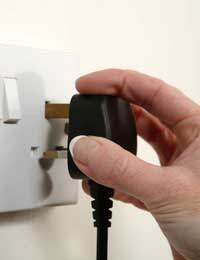 With those who do not suffer from OCD, checking once is usually enough to “silence” the niggling doubt that an electrical appliance has been left on or the door is not locked, but things are not so simple for OCD sufferers. The doubts remain, despite frequent checking. In many cases, the obsession is related to fears that something bad will happen if the checking rituals are not performed frequently. For example, the house may burn down (if an electrical appliance has been accidentally left on, and this has not been checked) or a burglar may gain access to the house (if the door is not locked). Cognitive Behavioural Therapy is a common form of treatment for OCD obsessions and compulsions. It aims to train the brain that compulsive rituals do not need to be performed to reduce anxiety. OCD sufferers are often encouraged to do something that would usually be immediately followed by a compulsive ritual. For obsessive checking, this can involve only being allowed to perform one compulsive check. After this, no further checks can be carried out. This is intended to show that nothing bad will happen if checks are not done on a frequent basis. Being prevented from carrying out compulsive checks can be distressing in the short term, many OCD sufferers find that it helps in the long term by disproving their fears. Obsessive checking is one of the frequently experienced symptoms of OCD. It involves the repetition of compulsive rituals such as checking that doors and windows have been locked, or that electrical appliances have been turned off or unplugged. It is common for OCD sufferers to actually return home to check that this is the case. In some cases, several journeys may be made back and forth to check that things are as they should be. No matter how many times the checks are performed, there is still a niggling doubt that the check was not done properly. For many OCD sufferers, the repetition becomes a prominent obsession that can leave them feeling slightly crazy. I have this disorder when i was a younger it was compulsion on repeating. Then checking, ive been fighting it hard and slowly was able to control my compulsions,, you can do it.